All about the gym quotes: Re-rack your weights for fucks sake. Re-rack your weights for fucks sake. Period! I can’t believe how many just leave their weights on the floor or leave them on the barbell and just walk away. Annoying AF. RE-RACK! ALWAYS. JUST. DO. IT. If you hate when people don’t re-rack their weights then this is THE quote for you to share with someone! 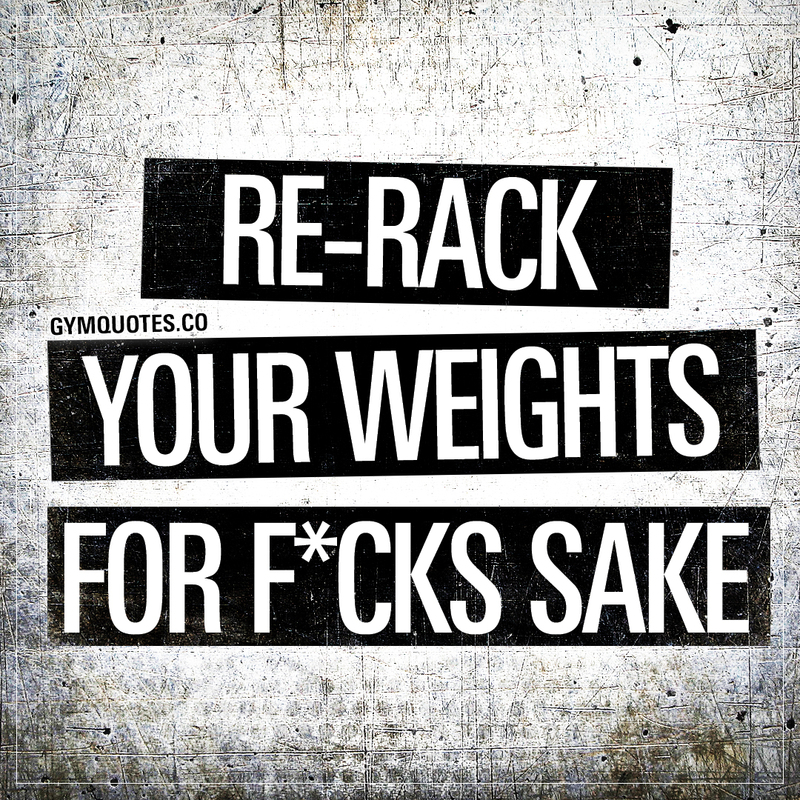 This “Re-rack your weights for fucks sake” quote (image and text) is copyright © Gym Quotes 2018. All rights reserved.